Scion Service and Repair - Orinda Motors Inc.
Scion drivers, Orinda Motors is a family-owned, team-operated auto repair facility that will take excellent care of your Scion vehicle. Our ASE-Certified auto mechanics know Scions and Toyotas well, so you can rest assured that you’ll receive affordable, high-quality auto repair from us. 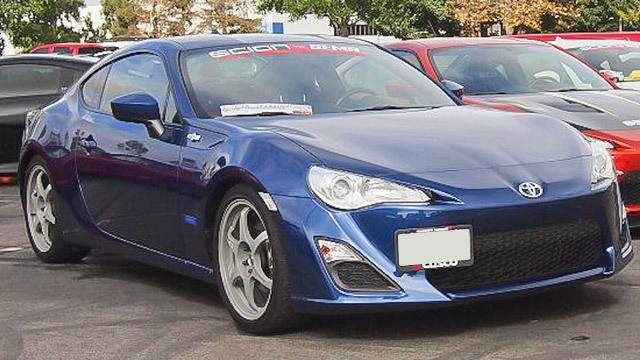 Scion is a popular Toyota brand that captured the hearts and wallets of the young-at-heart. Bold colors, bold design, limited editions, unique options for customization—Scion has found a niche to fill that seekers of unique vehicles crave. As a Scion owner, you can be confident that you drive a uniquely styled automobile that makes a statement few others can imitate. Custom vehicles demand customized service, and Orinda Motors offers expert service customized to the meet the needs of any Scion. Protect your Scion by taking good care of it. We are your best one-stop solution for auto repair in the Lamorinda area. The Orinda Motors family includes other services, like Orinda Auto Detail to wash and detail your Scion, our oil change & tire department, plus Orinda Auto Rentals when you need to drive something else besides your Scion. Orinda Motors is your affordable, one-stop auto repair solution. Our shop isn’t focused only on customized auto service; we tailor our service to our customers as well. Our shop is committed to superior care for both Scion cars and their owners. From the moment you walk through our door, our staff strives to supply only the best customer service. Any question you have about service or repair, we will be happy to answer. Whether you need routine maintenance or repairs for major damage, our team of certified technicians provides top-notch service. Give your Scion the service it deserves. Call Orinda Motors or stop in to schedule your service appointment today!